Who Pays for Your Trip? 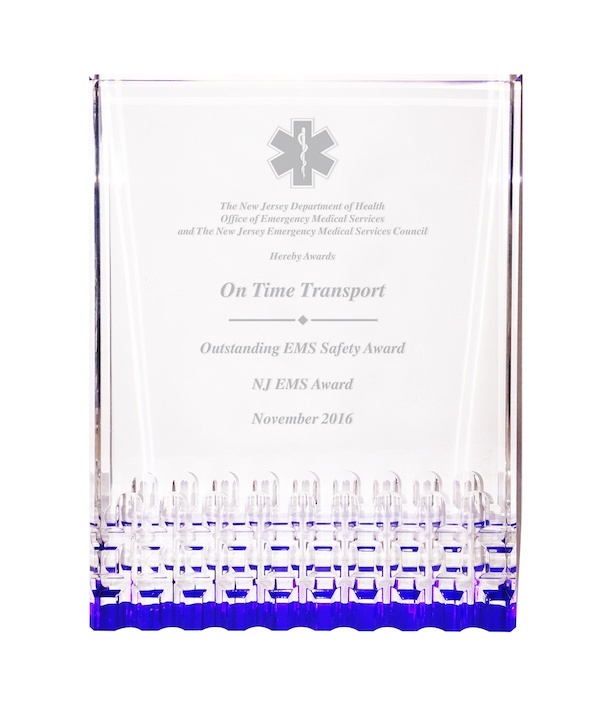 We were very proud to take home the 2016 OEMS Outsanding EMS Safety Award at the NJ Statewide Conference on EMS on Friday, November 18th. 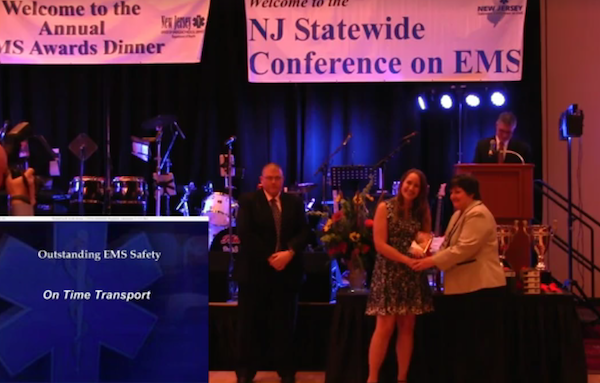 The Outstanding EMS Safety Award honors an agency that has demonstrated excellence in safety and patient care proactivity in emergency medical services. Our ten safety posters, with which we've adorned our offices, serve as constant reminders of safety best practices. Through regular reinforcement, we make these ten safety best practices second nature. To see a full explanation of all of our mantras, visit our blog post on that here. Our safety committee conducts monthly meetings to review tracked data on any incidents (including near misses) and implement preventative measures. The committee has introduced plenty of new equipment into the field as a result of their findings including power cots, Wraptor Mattresses, runway tape, and Ferno EZ glides. We are honored to receive this recognition and plan to continue being among the safest EMS agencies in the business. Melissa Sauka, our Director of Special Projects accepting the award. NJ OEMS's video of the event. Skip ahead to the 13 minute mark to see our portion.